It’s a September morning in Black Rock, Nevada—blue skies, endless desert horizons—and students from USC’s Rocket Propulsion Laboratory are gathered near Traveller III, the launch vehicle they built from scratch. If the flight they’re about to attempt is successful, they’ll be the first student group to send a rocket across the Karman line, which marks the boundary between the Earth’s atmosphere and outer space. In a Facebook Live stream from that day they sound both tired and excited as they make final preparations and reminisce about the years of teamwork that got them to this point. Dust storms end up pushing back the launch until later that day, and when it finally happens, it looks flawless: the rocket firing straight up into the sky. But, due to a failure to fully initiate the telemetry system just before takeoff, communication was lost, and no one knows for certain whether the vehicle made it into outer space as planned. The quest to pull off this feat (and prove it happened) continues, and the USC team continues to use the same hashtag for their online updates: #SpaceOrNothing. Meanwhile, other student groups—chapters of Students of the Exploration and Development of Space (SEDS); teams from the Stanford Student Space Initiative (SSI) and the Columbia Space Initiative, and many more—are working on space-related projects that go far beyond the realm of rockets. These range from long-range satellite communication and studies on DNA in microgravity to machines that could mine ice on Mars. It’s a mark of just how accessible space has become that the idea of students designing and building a rocket that can reach outer space is no longer unrealistic, and the USC Rocket Propulsion Lab isn’t the only one determined to make it happen. This past summer, teams from universities across the world competed at the Intercollegiate Rocket Engineering Competition (IREC) at Spaceport America in New Mexico. Their aim was to get rockets of various types to either 10,000 or 30,000 feet—well below the Karman line, but an important stepping stone towards that goal. Getting a rocket into space using solid fuel, as USC’s team attempted to do with Traveller III, is difficult enough, but an even more ambitious contest was announced in June. The nonprofit Base 11, which aims to help underrepresented groups get into STEM careers, is offering $1 million to the first student-led team to design, build and launch a rocket that reaches space using liquid propellant. Liquid fuel requires turbopumps to pressurize it, and these are made up of intricate moving parts that all must operate perfectly in a volatile environment. 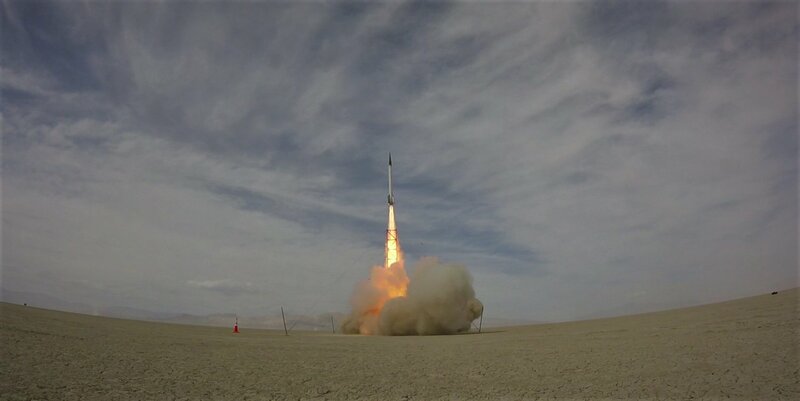 The deadline for this contest is in three years’ time, and Base 11 has donated an additional $1 million to the University of California, Irvine to establish a rocketry program to help it reach this goal. Whether or not students there or at any other college manage to get a liquid-fueled rocket across the Karman line, the attempt is likely to be transformative for the aspiring rocket scientists involved. Hands-on problem solving isn’t just a good way of teaching students specific skills; it also gives them experience working as a team, helps them see failure as a necessary precursor to success, and can rewrite their aspirations for the future. It’s why student competitions like IREC and the Base 11 Space Challenge can help build a pipeline of diverse STEM talent—which will be increasingly in demand as the space industry continues to grow worldwide. Ideally, this pipeline doesn’t start at the college level, but even earlier, so that young kids from all kinds of backgrounds can gain the confidence and aspirations that could set them on a world-altering path. 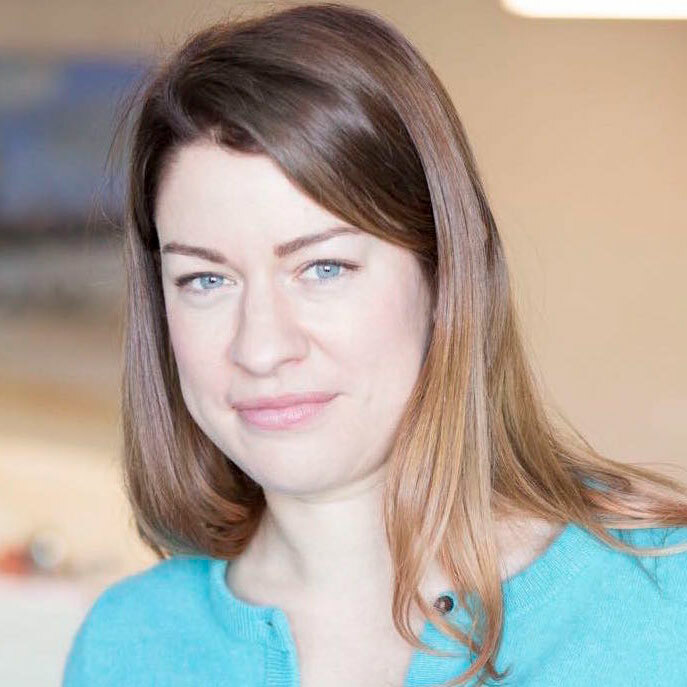 That’s the thinking behind FIRST, an initiative to get kids from kindergarten through twelfth grade interested in STEM subjects by having them compete in teams to tackle programming and engineering problems. 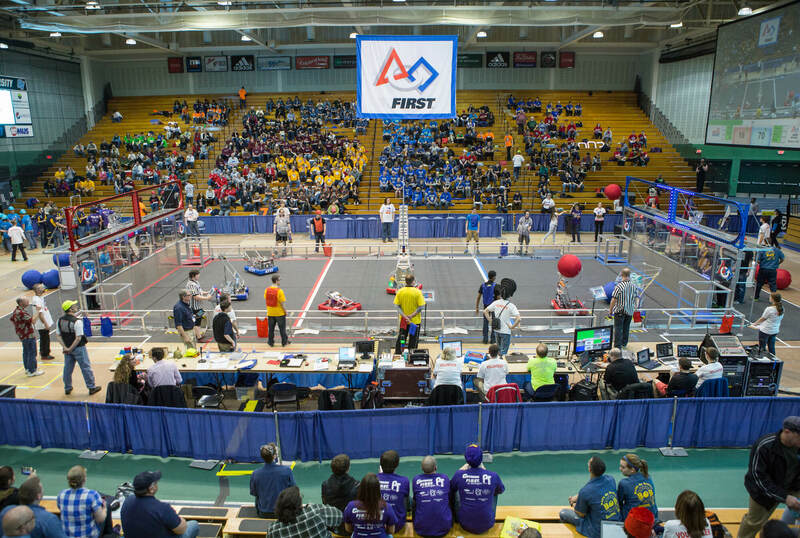 More than half a million students from at least 95 countries participated in the 2017-2018 FIRST season, with almost 100,000 students taking part in the Robotics Competition for high school teams alone. With this theme in mind, it’s fitting that Blue Origin and Amazon founder Jeff Bezos was chosen for FIRST’s annual Leadership in Technology award this year, which he received at their Inspire Gala in November. Bezos told those gathered that “you have to learn [how] to learn,” and advised young people to start building that skill early, to be ready for jobs not yet created. FIRST’s space-oriented program for 2019 is a demonstration of the field’s potential to inspire a new and diverse generation of innovators—potential that our team at Space Angels wants to see fully realized. That’s why we’re throwing our support behind the robotics team at a local public school as they work towards the “Destination: Deep Space” challenge in 2019. “Team 333” (also known as the "Megolodons, after a giant, extinct shark) originated as a small extracurricular club at John Dewey High School in Gravesend, Brooklyn, which deliberately selects students from low-achieving groups as well as those with higher test scores. 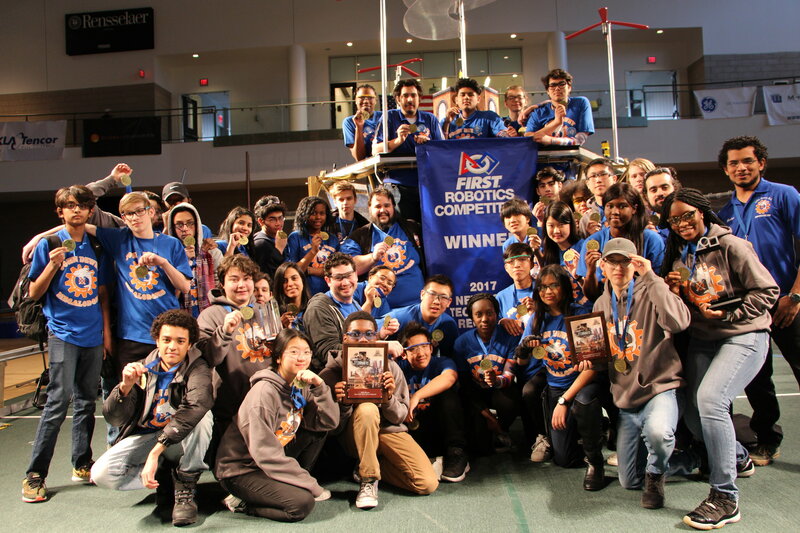 The team now has its own machine shop, robotics classes and curriculum, has beaten competitors from highly exclusive institutions like Stuyvesant and Brooklyn Tech, and has won several awards.